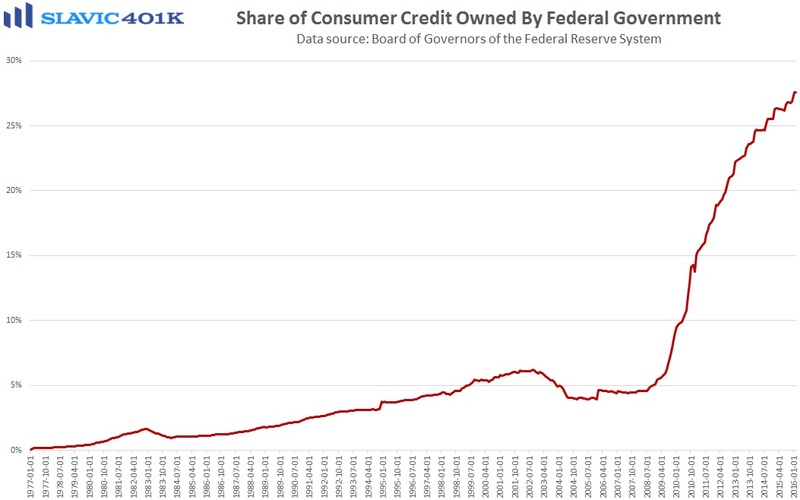 The only data on the U.S. economy worth mentioning today is a report from the Federal Reserve Board of Governors which showed that total U.S. consumer credit outstanding expanded by $17.2 billion in February (lagged) at a seasonally adjusted annual rate of 5.75 percent to $3,567.6 billion. This was better than the $14.0 billion gain economists had expected and the January figure was revised higher from $10.5 billion to $14.9 billion. 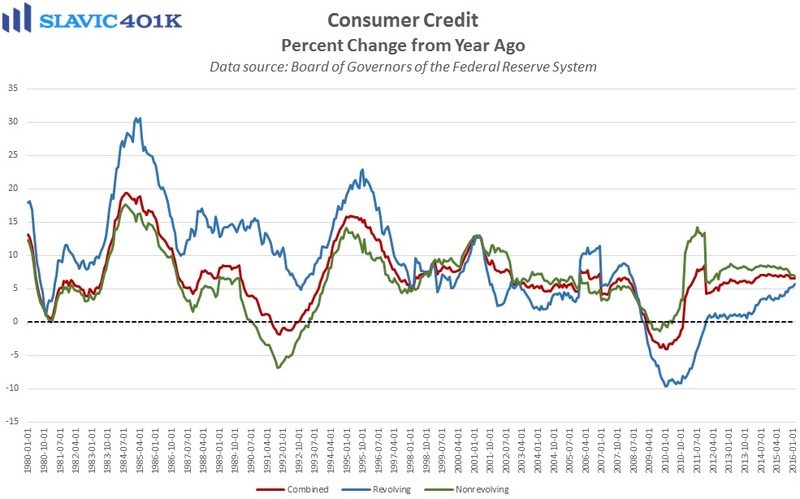 Under the hood, the majority of the increase was again driven by non-revolving credit, e.g. student and automobile loans, which rose by $14.2 billion in February, the 54th consecutive monthly gain. 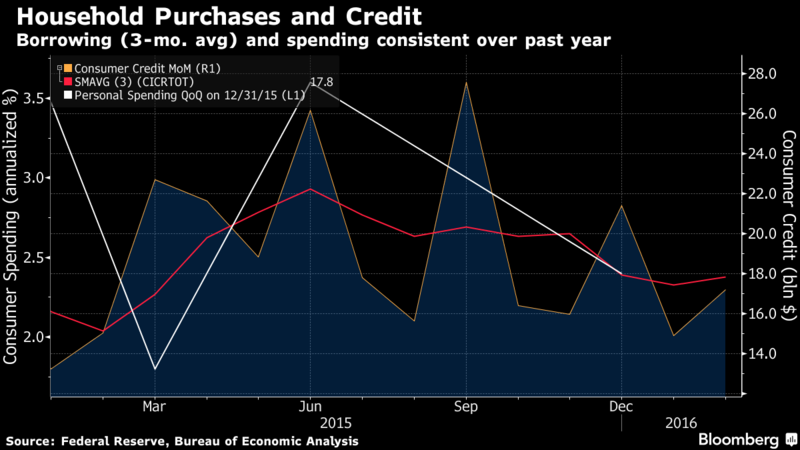 Revolving credit, which is mostly consumers’ credit cards, lifted by $2.9 billion in February, a welcome rebound following January’s big post-holiday decline. More importantly, the longer-term trends of an acceleration in revolving credit growth and a somewhat stalled expansion in non-revolving credit remain clearly intact. 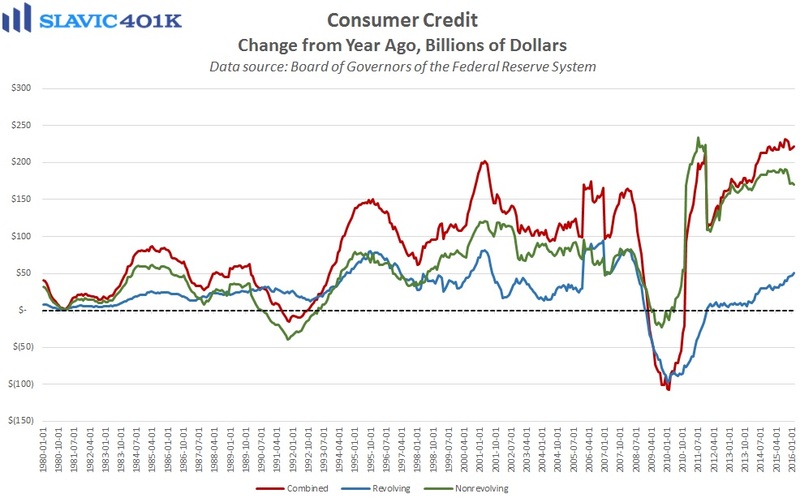 This should persist as long as the labor market and household balance sheets continue to improve and enable more American consumers to take on additional debt.